The protagonists of classic ‘swords and sorcery’ tales are a remarkable lot. They are a ‘cut above’ the common stock of humanity, physically and mentally superior to most people, although perhaps sometimes less prudent. Even this occasional lack of prudence, however, is compensated with superior luck and drive. 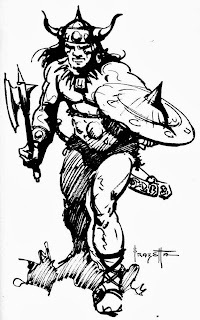 Characters such as Conan, Kull, Fafhrd, and the Gray Mouser are capable of overcoming foes and surviving challenges that would easily defeat most common men. Classic ‘swords and sorcery’ tales focus on highly exceptional and powerful individuals, not the ‘little guys’ of the world. Even as neophytes, most ‘swords and sorcery’ characters are exceptionally tough and capable. To reflect this aspect of the ‘swords and sorcery’ genre, it is recommended that first-level player characters start with the maximum number of hit points possible for their class, plus five additional hit points (modified by their constitution scores, as appropriate). Hit points should be rolled normally after first level. Player characters’ hit points represent only ‘superficial’ damage (i.e., exhaustion, light bruises, minor scrapes, and so forth.). Because of this, all lost hit points may be recovered by sleeping without interruption for eight full hours. Resting (not sleeping), or sleeping for less than eight hours, will enable a player character to recover one hit point per full hour of rest or sleep. Cure Wounds spells and potions of Healing do not heal hit points, but only lost points of Constitution (as explained below). However, a draught of ‘strong drink’ (ale, wine, liquor) can ‘invigorate’ a character, enabling him/her to recover immediately 1d4 hit points. 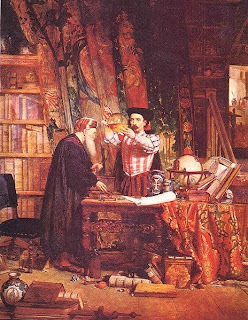 Game Masters may also want to allow alchemists to sell ‘Elixirs of Invigoration’ for 200 to 300 gold pieces. Drinking such an elixir might enable a player character to recover instantly 1d6 + 2 hit points. Only one such draught, whether of strong drink or an elixir, will have this effect per day. Once a player character’s hit points have been depleted, any further damage is done to the character’s constitution score. Damage to a character’s constitution score represents ‘serious’ damage. Every time a character takes damage to his/her constitution, he/she must make a saving throw (versus ‘death’ if using a system other than S&W) or fall unconscious. In addition, a character that has taken damage to his/her constitution suffers a -2 penalty to all actions (including attack rolls and saving throws). If a character’s constitution score is reduced to 0 or lower that character is dead. Characters who have suffered damage to their constitution and have fallen unconscious regain consciousness after eight hours of rest. If that character’s constitution is still reduced, he/she continues to have 0 hit points and suffers the -2 penalty to all actions until he/she can rest and recover. Characters subsequently can recover one constitution point for every two days of complete rest (i.e., no travelling or adventuring). The care of a doctor or other non-magical healer can improve the rate of healing to one constitution point per day of rest. A character cannot recover any hit points until all constitution points have been recovered. Game Masters should assume that most non-player characters and monsters are dead or unconscious when they reach 0 hit points or lower. Only player characters and special non-player characters – important figures in the world, whether allies or antagonists of the player characters – should use the complete rules outlined above. I already mentioned this, but it's now official, eh! 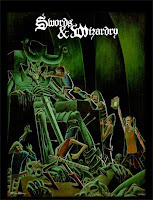 Lulu's announcement that Swords & Wizardry (the 0e D&D 'retro-clone') and Knockspell (the 'old school' FRPG magazine) won the May Lulu sales contest can be found here! Well done to Mythmere, and all of the good folks supporting the Old School Renaissance! My last post was on the 'roguish' nature of most 'swords & sorcery' characters. I also recently presented my version of the 'thief' class. 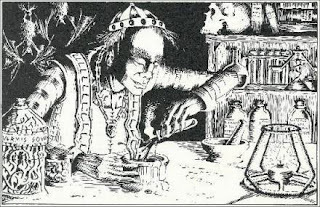 This picture by D. A. Trampier captures exactly what I think of when I think of 'thief' characters in older versions of Dungeons & Dragons. ... because everyone is a rogue! 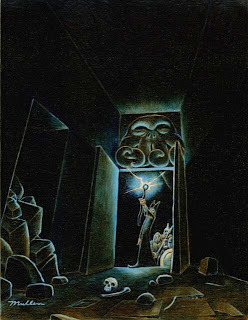 In a classic 'swords and sorcery' setting -- such as R. E. Howard's "Hyboria" or F. Leiber's "Nehwon" -- pretty much every protagonist is a 'rogue' in the broad sense of the word. That is, either you're a charming rogue, capable of overcoming foes and surmounting dangers that would defeat a lesser mortal, or you're a soon-to-be-dead-or-forgotten pleb. Adventurers like Conan and the Gray Mouser don't fight nice. They use every advantage at their disposal to overcome their foes. In order to simulate this aspect of the 'swords and sorcery' genre, I've decided to let any character of any permitted class -- fighter, thief, or magician -- to 'backstab' an opponent, should the opportunity arise. If the character can attack from behind, or without being noticed, that character enjoys a bonus to hit (+2 to +4, depending on the circumstances, as the Game Master decides), and rolls two damage dice upon a successful hit (e.g., if a fighter were to backstab a brutish oaf with a longsword, and that fighter successfully hit the brutish oaf, the player would roll 2d8 for damage). Good guys finish last in the world of 'swords and sorcery'! Good stuff! Well, this pace cannot continue for long, alas. 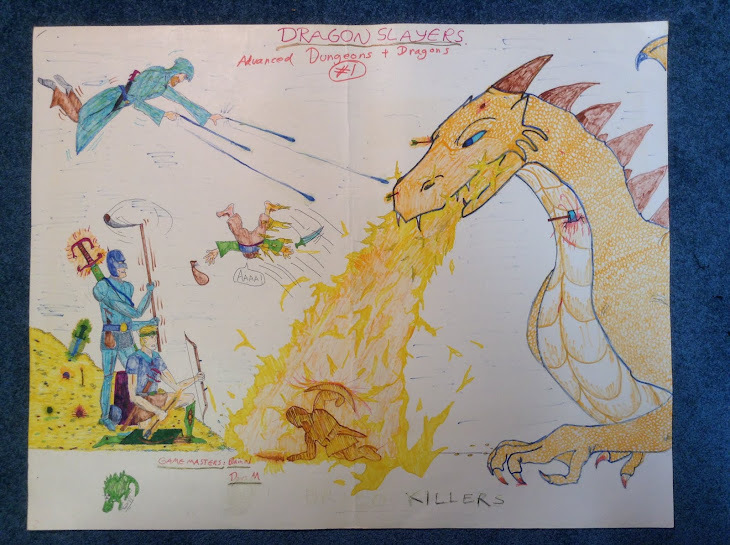 My plan is to finish posting all of my house rules for the Swords & Wizardry game (the OD&D 'retro-clone') over the next couple of weeks. Most of these house rules, with varying amounts of tweaking, can also be used for OD&D, Classic D&D ('Basic/Expert' D&D and 'Rules Cyclopedia' D&D), and AD&D (1e, and perhaps 2e as well, although I'm not as familiar with the latter edition). The overall aim of my house rules is to create a game with a stronger 'swords & sorcery' ethos, while still retaining a high level of compatibility with 'core' (pre-3e) D&D (and AD&D) products (especially monsters and modules). Once all of my current house rules are posted, things will slow down quite a bit. 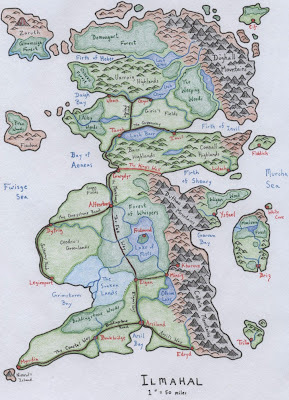 My other main goal in the near future is to revise my campaign setting, 'Ilmahal,' and I hope to have that done by mid-August. I would like to finish earlier, gentle readers, but 'real work,' and my upcoming nuptials, prevent more timely progress. 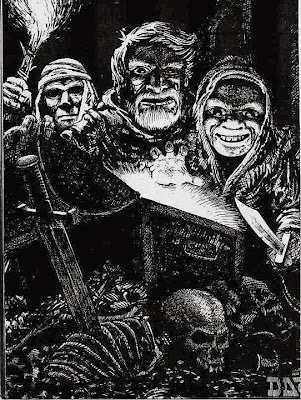 My interpretation of the thief class is inspired primarily by the fictional characters of “Fafhrd” and the “Gray Mouser,” as found in the stories by Fritz Leiber, as well as other roguish characters from classic ‘pulp’ swords and sorcery fiction. Consequently, I understand the thief typically to be a good fighter, a roguish scrapper capable of standing his own ground in most cases. Therefore, the thief is understood to be a ‘sub-class’ of the fighter (fighting-man) class. Except for the special restrictions and abilities noted below, the thief follows the rules (including experience point requirements and attack rolls) for fighters. Armour/Shield Permitted: Thieves may use their special abilities only when wearing leather armour or no armour, and not using a shield. When wearing armour heavier than leather and/or using a shield, they may fight as normal (as a fighter), but may not use their unique abilities and advantages (including their combat advantages, as described below). Saving Throw: As Clerics (i.e., starts at 14 at first level, and improves by one every level thereafter, until level 11, when the thief’s saving throw is 4, and no longer improves). Establish Thieves Guild (9th level): Instead of establishing a traditional stronghold like regular fighters, thieves may, upon reaching ninth level, establish a guild in any urban area of appropriate size (population 3,000 or greater). Upon establishing such a guild, the thief typically will attract 4+1d6 thieves as followers (levels 1-4; roll separately for each thief). (The GM may decide that additional thieves will join the guild in very large cities, e.g., cities with populations of 20,000 or greater, and that fewer thieves will join the guild in smaller settlements, e.g., towns with populations less than 8,000.) Additional thieves may join the guild later, if it proves to be successful (GM’s discretion). However, if the town or city in which a thief establishes a guild already has a well-organized thieves guild in it, the GM may want to role-play the subsequent conflict between the two guilds (or negotiations over ‘territory,’ etc.). Races: Thieves may be of any race (Elf, Dwarf, Halfling, or Human), unless the GM judges otherwise. Non-human thieves may progress to any level, but have a Hit Dice of only 1d6 (and gain only 1 hp/level after 9th). The thief enjoys a +3 bonus to any roll involving the following categories of tasks (using the saving throw system described earlier). This category covers attempts by characters to scale sheer surfaces, including walls and cliffs. If a rope and grappling hook are available, though, the character normally need not make a roll in order to climb (although if the situation is very stressful, e.g., the character is being pursued by trolls, then the GM may judge that a roll is necessary). This category covers tasks involving the skilful use of one’s hands when performing tricks (e.g., hiding a dagger from a guard), as well as attempts to pick the pockets of others without attracting notice. Halflings (if understood in the ‘standard’ fantasy way) receive a +1 bonus to any legerdemain task. This category covers attempts to pick locks. Halflings (if understood in the ‘standard’ fantasy way) receive a +1 bonus to attempts to pick locks. If the thief lacks a proper set of lock picks, he/she suffers a penalty of -2 or greater (as the GM judges) to his/her attempt. Especially well crafted lock picks may give the thief a bonus to his/her attempts. Legends speak of magical lock picks that enable thieves to overcome even the most difficult of locks. 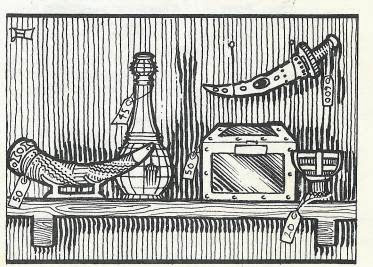 This category covers attempts by characters to notice hidden or concealed objects (e.g., secret doors or traps) or creatures (e.g., brigands waiting in ambush). Elves (if understood in the ‘standard’ fantasy way) receive a bonus of +2 to all attempts at perception. Dwarves (if understood in the ‘standard’ fantasy way) receive a bonus of +4 to all attempts involving perception vis-à-vis stone surfaces or objects (e.g., stone traps or secret doors). This category covers attempts by characters to remain unnoticed, including hiding and/or moving silently. Dark shadows or dense foliage may give characters a bonus to their saving throws, while bright lights or clear ground may give them a penalty (or even make an attempt at stealth impossible). Halflings (if understood in the ‘standard’ fantasy way) receive a bonus of +4 to all attempts at stealth. Wearing armour heavier than leather normally prohibits a character from moving silently. Carrying a torch or other light source prohibits a character from hiding. This category covers attempts by characters to disable or set traps. 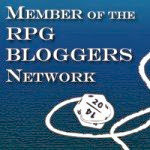 The GM may sometimes judge a roll unnecessary, if the player describes his/her character’s actions in such a way that the GM thinks guarantees success or failure. Dwarves (if understood in the ‘standard’ fantasy way) receive a bonus of +2 involving attempts to disable mechanical traps. The thief learns a new language at level 5, another new language at level 10, and a final new language at level 15. At no point, however, may a thief exceed the maximum number of languages that he/she may know, as determined by his/her intelligence. These bonus languages are in addition to any new languages that the thief may have learned ‘normally’ (based on the GM’s discretion or house-rules). So long as the thief is wearing ‘light’ armour (no heavier than leather), and is not using a shield, he/she gains a +2 to hit (instead of the standard +1) when using two weapons. So long as the thief is wearing leather armour or no armour, is not using a shield, and is not wielding a ‘large’ (i.e., two-handed) weapon, he/she receives a -2 [+2] bonus to his/her armour class. All classes in S&W have a single saving throw that may be used as a general ‘task resolution’ mechanism. Under this system, when attempting a particular task, the player rolls 1d20, applies any relevant attribute modifiers (a bonus of +1, a penalty of -1, or no modifier, depending on the attribute score), and any additional modifiers that the GM judges appropriate. Very easy, but not automatically successful, tasks might receive a bonus of +10, while extremely difficult, but not impossible, tasks might receive a penalty of -10. Less extreme modifiers should apply to rolls involving tasks of intermediate ease or difficulty. The difficulty modifier is applied to the character’s saving throw roll. (It is up to the GM to determine whether the player has knowledge of this modifier.) If the modified roll equals or exceeds the character’s saving throw number, the task is successful. An unmodified roll of a 20 always indicates success, and an unmodified roll of a 1 always indicates failure (otherwise, there is no point in making the roll in the first place, and the GM should simply decide that the character automatically succeeds or fails). For example, Nibold the Purple, a bold roguish warrior, is attempting to swim across a dangerous rushing river. Because Nibold is a fifth level fighter, his base saving throw number is 12. The GM judges that superior strength would assist anyone attempting such a feat, and thus allows the player to apply Nibold’s strength bonus, in this case +1, to the roll. Because the river is flowing swiftly, and contains dangerous rocks and currents, the GM assigns a -2 penalty to the player’s roll. Finally, the GM notes that Nibold’s background is that of a sailor, and therefore grants the character a +4 bonus to the roll. This leaves the player with a net +3 bonus to his roll for Nibold. The player rolls a 10 and adds 3 for a total of 13. Since that exceeds Nibold’s saving throw number of 12, Nibold successfully swims across the river. If the player had failed his roll, the GM may have decided that Nibold suffered 1d6 points of damage from being bashed about the rocks by the stream’s strong currents. A roll of a natural 1 may have resulted in Nibold being knocked unconscious, and likely drowning to death, unless rescued by his compatriots (assuming that he has some nearby!). EDIT: In the third printing of S&W, fighters and magic-users both start with a saving throw of '15,' and improve by 1 per level until level 11. Clerics retain their original saving throws. Below is a brief overview of the setting. I'm in the process of thinking about possible revisions to it, and so will wait a little while before posting more detailed notes. The island of Ilmahal is slightly smaller than the island of Britain. It resembles Britain in terms of geography and climate, except for the fact that Ilmahal has a number of small but imposing mountain ranges along its eastern coast. It exists in the northern part of the world of Ilden. Culturally and politically, Ilmahal resembles post-Roman, Dark Ages Britain. The southern portion of the island was once the northernmost province of a great empire, the Aphorian Imperium. After the collapse of the Aphorian Imperium, Ilmahal descended into a dark age of chaos and barbarian invasion. Two centuries ago the southern portion of Ilmahal was united into the Kingdom of Olbian, which resembled pre-Saxon ‘Arthurian’ England. Alas, Olbian collapsed after its second king failed to produce an heir. Since then, the realm has been divided amongst petty kingdoms, city-states, and bandit lords, all struggling against each other – and against the many vile sub-human tribes that ravage the land – for supremacy. These are exciting developments for S&W, at least to grognardly nerds like myself! Congratulations to Mythmere (Matt Finch) for all his hard work on S&W over the past year. One of the great virtues of Swords & Wizardry, Labyrinth Lord, and similar ‘old school’ games, is that elaborate rules are not relied upon in order to distinguish different fighters from one another. Whether a player’s fighter character is like Aragorn, Conan, Robin Hood, or Sinbad the Sailor is determined primarily through role-playing. Nonetheless, some groups may wish for some way to distinguish their fighter characters in game terms. This optional system of ‘fighting styles’ for fighters is intended to satisfy this desire, while remaining easy and fast. Using this system, not only will a Conan-like character differ from a Robin Hood-like character by means of role-playing, but also, as a tactical matter, through those characters’ somewhat different combat abilities. If you use these rules, a first level a fighter can choose two different fighting styles. The ‘berserker,’ ‘shield master,’ and ‘swashbuckler,’ styles can be chosen only once each. The ‘unarmed combat’ style can be chosen only twice. The ‘weapon mastery’ and 'weapon grandmastery' options can be chosen multiple times, but only once per weapon type (so a fighter could not choose weapon mastery in spears twice in order to gain a +2 bonus to hit with spears). An additional fighting style can be chosen by a fighter character once he/she reaches level 4, level 8, and level 12 (so a 12th level fighter will have five fighting styles in total). 1. Berserker. The fighter gains a +2 bonus to hit and damage for the duration of one combat (melee weapon only), but suffers a +2 [-2] penalty to his/her AC while berserk. Afterwards, the character is exhausted, taking a -2 penalty to all actions. One hour of complete rest (no walking) eliminates the exhaustion. 2. Shield Master. The fighter gains an extra -1 [+1] bonus to his/her AC when using a shield. 3. Swashbuckler. So long as the fighter is wearing ‘light’ armour (no heavier than leather), is not using a shield, and is not using a large weapon, he/she gains a -2 [+2] bonus to his/her AC. Also, when using two weapons the fighter gains a +2 to hit (instead of +1). 4. Unarmed Combat. The fighter can do 1d6 of normal damage with only his/her fists and feet. If he/she takes this fighting style a second time, this damage increases to 1d8. 5. Weapon Master. The fighter gains a +1 to hit with any one type of weapon (axes, bows, broad & long swords, clubs, crossbows, daggers, darts, flails, great swords, halberds, hammers, javelins & spears, maces, quarterstaffs, short swords, slings, etc.). Each type of weapon may be chosen only once by a character. 6. Weapon Grandmaster. 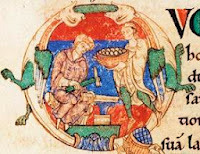 If a fighter is already a weapon master of a particular type of weapon (axes, bows, broad & long swords, clubs, crossbows, daggers, darts, flails, great swords, halberds, hammers, javelins & spears, maces, quarterstaffs, short swords, slings, etc. ), he/she may become a ‘grandmaster’ of that weapon type. A grandmaster gains a +1 bonus to damage in addition to the +1 to hit he/she already enjoys as a master of the weapon type in question. Each type of weapon may be chosen only once by a character.